The Bernie Sanders campaign made big asks of volunteers in order to win big. Becky Bond and Zack Exley's book explains Big Organizing. A warning to those living in open and privileged societies and working in well-funded top-down advocacy institutions: This book may cause intense feelings of inadequacy and a burning desire to innovate. 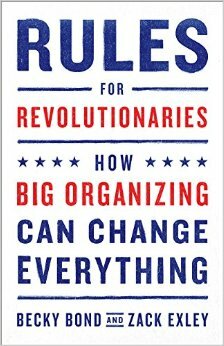 Rules for Revolutionaries: How Big Organizing Can Change Everything is an inside look at the massive volunteer-driven campaign supporting Bernie Sanders’ run for U.S. president. Becky Bond and Zack Exley, key Sanders campaign strategists, draw on their experience creating a “Big Organizing” machine that leveraged supporter enthusiasm and put volunteers in leadership roles along the way to making seventy-five million calls, sending eight million text messages and winning caucuses and primaries across the country. Rather than a self-flattering “I was there” account, the book is intended as a practical work that transmits a unique and innovative set of 21st century campaign techniques to progressive strategists. Thanks to Bond and Exley’s candid style, this under-the-hood look at a fascinating instance of mass organizing is anything but dry. A straightforward and laid-back writing style builds intimacy with the reader. At times, one feels as though Becky and Zack had leant us their campaign journal or were coaching us privately on the ins and outs of their method. Putting aside the candidate himself and inside politics, the focus here is the Big Organizing model, which is presented as the secret behind the rapid and surprising scaling of the Sanders campaign. In unbranded terms, Big Organizing is a distributed organizing model supercharged by the rare concentration of resources and energy that the U.S. electoral process brings together. The core innovation, and departure from traditional staff-driven campaigning, is to confer greater levels of power and agency to self-starting volunteers This opening to grassroots power liberates significant energy that can be channeled towards central objectives. As we read through the 22 rules that present the dos and don’ts of Big Organizing, Bond and Exley keep coming back to a handful of key principles. Foremost among them is the exhortation to trust and value volunteers at the same level of staff, allowing for the creation of a “peer to peer” culture throughout the organizing structure. This dispersal of trust and agency necessarily involves sacrifice for those used to a command and control model and the authors advise campaigners to allow for some messiness and imperfection as a price to pay for rapid growth and overall impact. Despite the peer-to-peer collaboration and self-organization at the heart of the model, Big Organizing is not meant to be a free for all. However distributed, a central plan anchors the operation, according to the authors. This plan, as devised and refined by Bond and Exley, involved a concrete set of predetermined actions, performance targets and milestones, all of which are transmitted to supporters through constant communication. Also key to the plan are preconceived roles for volunteers and small, medium and large “asks” made of these supporters in accordance to their levels of commitment and experience. Finally, the authors stress the importance of intake processes and training plans that lead new recruits from simple entry tasks to managerial roles with increasing levels of responsibility. On the practical side, Bond and Exley underline the value of real-space events for recruiting and engaging new supporters. The great success of their “barnstorm” model, which brought together local supporters at campaign rallies and drove them to form volunteer-led work teams across the country is instructive for digital-first campaigners who may rely too heavily on web-based engagement when building their base. The authors point out that Big Organizing is about more than tactics and tools. It also means embedding a commitment to movement building by acknowledging racism and systemic inequality. “White people need to understand that supporting Black liberation in a material way is an essential part of any political revolution,” Bond writes. Barnstorm events were places to offer and share ideas for action, not be told what the campaign needed done. Where can Big Organizing take root? 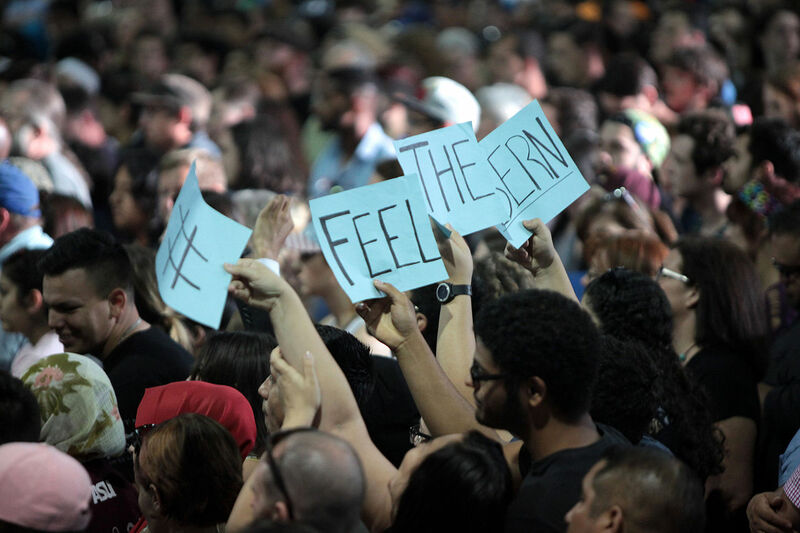 With word of Bernie’s impressive campaign still making the rounds among global organizers, many are wondering how they can make “Big Organizing” happen in their locales and issue spaces. 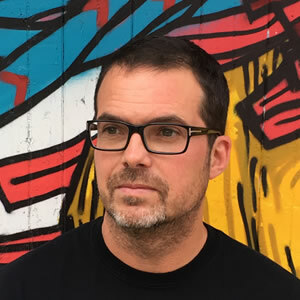 Though elements of their distributed organizing approach have been rolled out by progressive campaigners on different fronts for the past 15 years or so, Bond and Exley were handed a unique set of circumstances and unforgiving expectations at a time when certain connected technologies and software solutions had reached a critical level of penetration and maturity in the U.S. The authors’ well-considered strategy made use of these new possibilities and also went with the grain of new cultural expectations that include growing individual empowerment and a widespread do-it-yourself ethos. Big Organizing’s success in Bernie’s campaign is a wake-up call to NGOs and other progressive advocacy institutions in countries where social and technological conditions line up with those of the U.S. 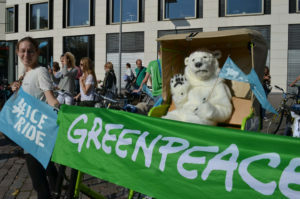 While not so revolutionary to real grassroots movements that are bottom-up by necessity, many well-funded and well-staffed organizations have built a model that is the direct opposite of Bond and Exley’s insofar as it is hierarchical, undervalues its supporters and is driven almost exclusively by its professional staff and their sensitivities and comfort zones. If Big Organizing was able to go so far and so fast with a supporter-driven structure, the need to re-examine traditional campaign strategy and nonprofit management practices is obvious. The case for a truly global spread of this model is less compelling at the moment. The unstated glue that holds Big Organizing together, unstated because Bond and Exley’s book is mainly written for a U.S. audience, is the widespread domestic availability of high-speed internet access and prevalence of connected devices, without which the coordination of all of these distributed tasks would have been virtually impossible. Also inherent to this model is considerable freedom to communicate without surveillance or interference by an authoritarian government. When these conditions are unfulfilled, large parts of the Big Organizing model fall apart. Workarounds, if there are any, are yet to be discussed and perhaps that job is best left to organizers campaigning in the Global South and East where internet-mediated organizing is a lot more challenging.